Oh, man. Three good days in a row got spoiled big time today. Must have been the citrus sorbet last night. Who knows? Something inside me goes south in a hurry and in a big way. And it can only be bad things and internal damage to my digestive tract and/or colon. It’s one of those times when I really don’t want to know the answer but I want to get well. Getting old when you’re sick can be a drag. I'd like a shot of HFCS straight up, Bartender. Hold the sugar. I was thinking about high-fructose corn syrup tonight. Who believed this substance was a good idea? Someone who one day thought “sugar isn’t sweet enough – what if I created something sweeter than sugar and harder to digest?” Yeah, genius, that’s just great. Improve upon nature. Go ahead and try. 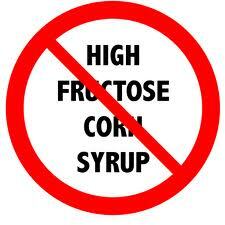 I can eat sugar, but HFCS makes me feel bad. I’m not sure why, but it does. And it raises my glucose levels higher than sugar. Still, I want to invent Super HFCS. This would be even sweeter than regular HFCS. It would be so sweet that just the smell of it would raise your blood sugar 50 points. And a spoonful would make you pass out. And if you forgot to brush your teeth at night after eating it, you’d wake up with holes in your teeth. Yeah, that’s right, I’m going to make Super HFCS. And believe it or not, people will buy it because people love sweet stuff. Patient: Doctor, I’m feeling bad. Today, I was rolled up into a little ball because of the stomach pain. I cried out for lightning to strike me and put me out of my misery. Help. Doctor: But you had three good days prior to that, right? Doctor: Well, then you’re improving. Today’s just a minor setback. Overall, you’re improving. Patient: But at one point my stomach ripped open and I had to push all of my guts back in. I’m not sure I put them back in the correct places. Doctor: I’m sure you put the puzzle back together just fine. You’re trending in the right direction. Call me in two weeks. Doctor: Yep. You’re getting better. Talk to you then. If you want your doctor to help you, never mention you’ve shown improvement of any kind. Otherwise, you’ll be left to suffer and die. On day 22 of c diff and stomach problems, and day 17 of vanco, I have no words to describe the fun. I find it almost unbelievable – an odyssey of trying to figure out what to eat and not eat, and which probiotics work best. Sometimes I am stable only to be derailed by eating the wrong food. Then I go into a tailspin. I would like to steal one of those tiny cameras you swallow that take video of your digestive system from start to finish. Either that or move to Texas A&M and have them install a fistula in my stomach – like a cow. I prefer option 1. I know there are good bacteria, like the millions in the probiotics I’ve been swallowing each day, but I hate the bad ones. Especially c-diff, PA and mycobacterium, the latter having worked its way into a new friend’s lungs. Why can’t scientists invent some form of good bacteria to combat them? Probiotics for the lungs? I’d inhale something like that. Instead I need antibiotics and more antibiotics. 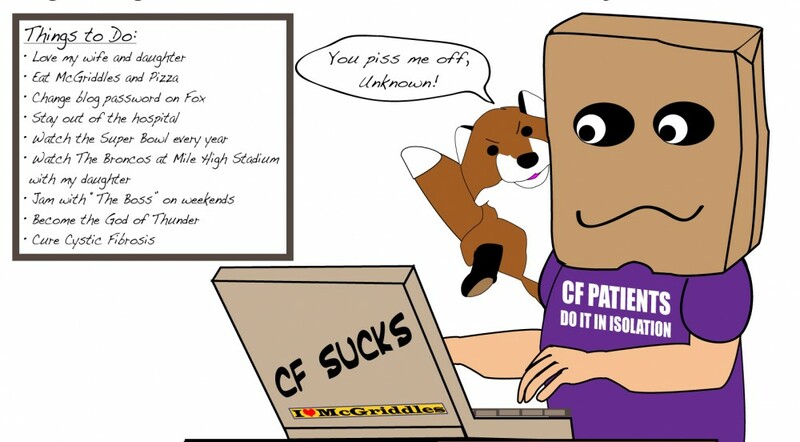 The good news, though I’m afraid to write it because the last time I mentioned good health my two-week joy ride with c-diff started, is that today I may have turned the corner with the c-diff. The antibiotics seem to be doing their job finally and the rollercoaster of low-grade fevers, stomach problems, diarrhea, feeling ill and tired, and hot like the Human Torch has subsided. Whew, doggie. That was something. Bacteria . . . wow. The damage they can do, as all of us know. It won’t be the cockroaches that survive all of us, it will be the cockroach bacteria. These tiny, invisible destroyers of life will survive all, I’m afraid. The ironic part of my story is that it started thanks to a medication – Nexium. To combat GERD, the stomach doctor prescribed up to 80mg a day, suppressing my stomach acid to the point the c-diff could flourish and take control. Down with the hearburn, up with the c-diff. Right now I have the heartburn of a dragon and feel like I could blow fire and take out a tree or two, though cars would be more fun because they explode. I’m afraid to take anything to reduce the acid in my system that’s helping to kill the c-diff. I’ll live with the heartburn over the c-diff. Equilibrium, such an elusive dream most days.